Failure to meet the United Nations' 2ºC warming limits will lead to sea level rise and dire global economic consequences, new research has warned. Published today in Environmental Research Letters, a study led by the UK National Oceanographic Centre (NOC) found flooding from rising sea levels could cost $14 trillion worldwide annually by 2100, if the target of holding global temperatures below 2 ºC above pre-industrial levels is missed. The researchers also found that upper-middle income countries such as China would see the largest increase in flood costs, whereas the highest income countries would suffer the least, thanks to existing high levels of protection infrastructure. Dr. Svetlana Jevrejeva, from the NOC, is the study's lead author. She said: "More than 600 million people live in low-elevation coastal areas, less than 10 meters above sea level. In a warming climate, global sea level will rise due to melting of land-based glaciers and ice sheets, and from the thermal expansion of ocean waters. So, sea level rise is one of the most damaging aspects of our warming climate." Sea level projections exist for emissions scenarios and socio-economic scenarios. However, there are no scenarios covering limiting warming below the 2°C and 1.5°C targets during the entire 21st century and beyond. The study team explored the pace and consequences of global and regional sea level rise with restricted warming of 1.5 ºC and 2 ºC, and compared them to sea level projections with unmitigated warming following emissions scenario Representative Concentration Pathway (RCP) 8.5. Using World Bank income groups (high, upper middle, lower middle and low income countries), they then assessed the impact of sea level rise in coastal areas from a global perspective, and for some individual countries using the Dynamic Interactive Vulnerability Assessment modelling framework. Dr. Jevrejeva said: "We found that with a temperature rise trajectory of 1.5°C, by 2100 the median sea level will have risen by 0.52m (1.7ft). But, if the 2°C target is missed, we will see a median sea level rise of 0.86m (2.8ft), and a worst-case rise of 1.8m (5.9ft). "If warming is not mitigated and follows the RCP8.5 sea level rise projections, the global annual flood costs without adaptation will increase to $14 trillion per year for a median sea level rise of 0.86m, and up to $27 trillion per year for 1.8m. This would account for 2.8 per cent of global GDP in 2100." The projected difference in coastal sea levels is also likely to mean tropical areas will see extreme sea levels more often. "These extreme sea levels will have a negative effect on the economies of developing coastal nations, and the habitability of low-lying coastlines," said Dr. Jevrejeva. "Small, low-lying island nations such as the Maldives will be very easily affected, and the pressures on their natural resources and environmental will become even greater. "These results place further emphasis on putting even greater efforts into mitigating rising global temperatures." Who shares similar experiences of climate change in a 1.5 C world and beyond? Whew. Luckily they used those famously inaccurate computer models to come up those crazy numbers so we can just ignore it all and go back to not worrying. According to actual measurements of sea level, we might see a 0.12m to 0.25m (5 to 10 inches) increase by 2100. The current rate as measured by satellite is 3.1 mm per year. As measured by tide gauges it's about half that or 1.5 mm/yr. 5 to 10 inches is a whole lot less than 1.7 feet, let alone 2.8 or 5.9 feet. I read it as "Rising sea Levels could pump $14 trillion into the economy by providing jobs to construction workers and other people displaced by automation by the year 2100"
That's all well and good. $1.4trillion for 1.5C of global temperature rise. But 1.5C is really wishful thinking. What if it's 4.0C or 6.0C. Is damage from sea level rise comesnerate? $2.8 to $4.6 trillion? aksdad: your arrogance is only surpassed by the actual higher sea levels in 2100: 5'3" in some oceans. Think of all the coastal cities with over one million people around the world, and low lying island nations. You probably think the human population is only 7 billion, where it is now actually over 8.85 billion. You also probably think there are no negative consequences to overfishing, dams, fertilizers, glyphosate, plastics and pharmas in the water, CO2, methane, desertification, radiation, deforestation, algae bloom dead zones, etc. No, I'm not a liberal. $14 trillion per year? It would seem there is an assumption that after a flood even people will rebuild only to be flooded again. 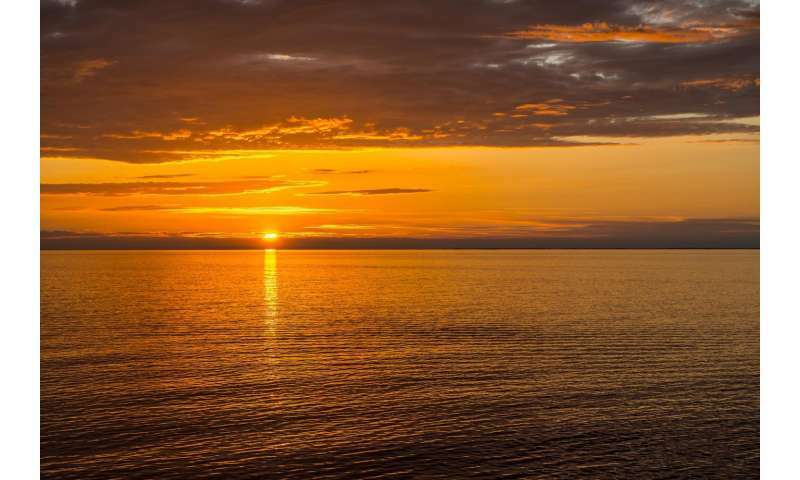 Sea level increase is not reversible on time scales comparable to human lifetimes. An area flooded due to sea level rise should be abandoned. For a 1.8m sea level rise they give an annual cost of $27 trillion and state 2.8% of global GDP. That gives a global GDP of $964 trillion vs. today's $107 trillion. If the economy is that good, it would seem that we could afford an extra 2-3% (even if it doesn't make sense). Happy for aksdad to supply different data graphs. "This would account for 2.8 per cent of global GDP in 2100." -By 2100, most everyone now alive in those areas will be dead of old age. Additionally the infrastructure of coastal cities is based on centuries-old design practices and is incompatible with modern technology. Streets are too narrow, storm and septic sewer systems are often combined, utility distribution systems are critically decrepitated and unrepairable. World pops are becoming mobile with younger gens getting educations and following jobs. Jobs are moving away from these aging city centers because utility costs and taxes are skyrocketing due to entropy. In short, it would probably be cheaper and more prudent to abandon and raze these cities over time even if rising water was not an issue. And that appears to be exactly what is happening in cities like Detroit and new orleans. Studies such as the above that do not include these issues in their assessments are dishonest. gee, six inches over the next 80 years. I think I can out pace that. The $1.4 trillion a year is the cost of maintaining this scam. Barky doesnt understand the dynamics of labor and industry. Supply and demand. And there's really no way of educating him. I'll be long gone by 2100, why should I care?? If you don't care about anybody else, perhaps you wouldn't care. People like you are known as sociopaths and are probably known by your acquaintances as an inveterate liar. You tend to have an inability to tell the difference between right and wrong, which makes you irresponsible. This leads to difficulties with relationships and holding down a job, unless you inherited a large sum of money. If you have kids, do you tell them to their face(s) that you don't give a rat's a$$ about them? I've always wondered that about sociopaths. SO much wrong with your post, nowhere to start really.. TheGhostOfWhomever. I'm the only one that provided an actual economics reference. Clearly you've never heard of the Broken Window fallacy and don't understand it. After stating that there's so much wrong with my post, you haven't provided a single counterargument, which suggest that you actually can't make one. If loss and destruction is such a stimulus to the economy, then the best thing humans could do is completely destroy every city with nuclear weapons. Rebuilding absolutely everything from the ashes would be the biggest boost the world economy has ever seen. According to you. 1) People die and move on. Will they be replaced? 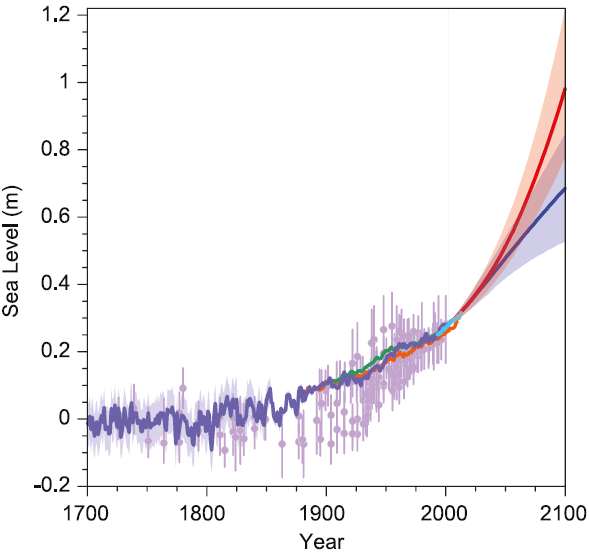 2) Sea levels rise gradually over decades. 3) buildings, utilities, and infrastructure have finite lifetimes. 4) taxes and insurance rise to compensate for rising replacement costs and shrinking revenue. 5) businesses relocate to maximize profits. 6) demolition and new construction take place ALL THE TIME. 7) technology advances ALL THE TIME; robots will be doing most fabrication, delivery, and construction soon. 8) you guys seem to be stuck on this flood imagery of sudden calamity and exodus. Its idiotic. 9) what WILL HAPPEN is what always happens; normal demographic shifts in response to economic and environmental changes, OVER DECADES and gens. These shifts happen all the time. They are ongoing. Look around you. See the new bldgs going up, old ones being torn down? New roads being built? Consider the massive shifts we have seen in the last 50-100 years in response to tech and pop growth. They will continue to happen whether oceans rise or not. MOST of our structures and utilities are less than 50 years old. "According to the U.S. Department of Energy, the average office building lifespan in 2008 was 73 years." -But many are renovated or replaced due to changing business environments long before then. Consider the massive changes prompted by containerization since the 60s. Major new ports and renovation. Huge changes in response to distribution and transport by rail and truck. If you spend any time on google maps you might notice the incredible number of mega-warehouses and automated factories springing up around regional transportation hubs, in response to online shopping and similar sea changes. -And these facilities are also designed with 30 year or less life cycles. "Over half of new manufacturing plants shut down by the time they are six years old. By the age of 15, fewer than 20% are still functioning. The average new manufacturing plant in Canada operates for only nine years; 14% of new plants close in their first year. "How long a plant survives varies by industry. The longest lifespan is 13 years"
"Technology killing off corporate America: Average life span of companies under 20 years. The average age of an S&P 500 company is under 20 years, down from 60 years in the 1950s, according to Credit Suisse. The Wall Street firm says the trend is accelerating and blames the disruption from technology." -This is reflected in the facilities they occupy, the infrastructure they require, the utilities they consume, the materials they use, and the workers they employ. Fast turnover is the norm in western capitalist societies. Sure, countries like North Korea Koreaay be unduly stressed. But they wont be the ones building space elevators or mining asteroids. I have to agree with TGO regarding current and immediate future economic/industrial model illuminations. That said those models assume there will be a near free energy source to replace current energy sources. An energy source free and unlimited enough to allow the economically viable recycling and or recovery of primary food limiting resources like phosphorus - none of which is currently on the techno/economic horizon. The real question is whether the energy technology necessary for continued human survival and technological maintenance and development will arrive, before we exceed current declining energy sources. Depending on who you read - we have less than 30 years to develop "free energy," get human over population to sustainable levels, or we face an unavoidable apocalyptic type global collapse of the human species. The limiting nature, the magnitude of, and the proximity of an energy/resource/economic collapse should place sea level rise way down our priority list. The models have been pretty accurate so far when taken as an average over the last 30 years. You are assuming that sea level rise will be linear. It's already accelerating and the rate of acceleration is increasing. Exactly....you're a genius, that's the way I read it too. According to actual measurements of sea level, we might see a 0.12m to 0.25m (5 to 10 inches) increase by 2100. Predicting sea level for 2100 obviously cannot be done using only info of current measurements of sea level because to actually rationally predict for 2100 we need to estimate how the rate of sea level rise will accelerate in future years before 2100 to make any rational prediction for sea level for 2100 thus your above implied claim that you can directly determine 2100 sea level by looking at current measurements is just nonsense. That estimate of how much sea level rise will accelerate in future years can only be done by scientists that know things about it you and I don't. OK, may be by 2100... A beach at Long Island bay that I have been going to almost every summer for last 25 years is like a half a size of what it was 25 years ago. It is very noticeable because this beach ends at the bottom of a steep hill and during high tide every year you have to move closer and closer to the hill. It is just a personal direct experience... it is not a 'scientific research' and not a very happy experience... Go to some place like this that you did not visit for 20-25 years and you can see it by yourself. I was born in a place with very snowy winters, I remember big banks of snow several feet high, now there is very little snow... These signs are everywhere... How old (or rather, how young) these people who do not have a direct experience of climate change? "5 reasons why anecdotes are totally worthless"